Have you looked in the mirror lately and not recognized the person staring back at you? Thinking you’re tired of looking older than you feel? Then maybe it’s time you considered a makeover with the help of cosmetic injections. Celibre Medical specializes in the use of FDA-approved treatments such as Botox, Dysport, Restylane, Restylane Lyft, Juvederm and Radiesse. 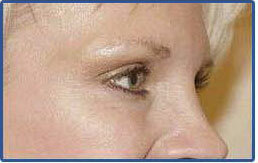 In an afternoon, you can erase five, ten or even more years from your appearance! Our expert injectors use their unique blend of artistry, a keen aesthetic eye and the latest injection techniques to help smooth away lines and wrinkles, restore lost volume and make you look your very best. No two faces are exactly the same, and neither are our treatment plans. Yours will be customized to fit your needs, your overall goals and your budget. We understand the importance of having you as our partner in the process and will discuss all your treatment options extensively with you before your treatment. Laugh lines, crow’s feet and forehead lines are just a few of the types of lines and wrinkles that can be smoothed away with cosmetic injections. For many people, taking care of oneself includes daily skin care, proper diet, exercise and proper rest. 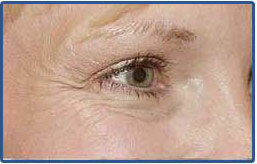 But still, if you feel like you look older than you should, then it is time to give us a call. We are happy to walk you through a personalized, detailed plan of how we can use the latest FDA-approved products and techniques to get you back to looking as good as you feel or better! As always, your consultation is completely free so you have nothing to lose!